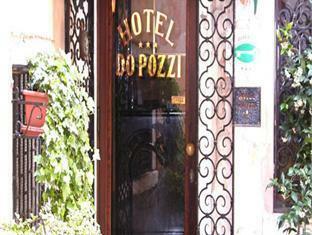 ﻿ Hotel Do Pozzi Venice. JIMAT di Agoda.com! Nikmati sarapan pagi di halaman cerah di Hotel Do Pozzi, satu cara yang hebat untuk memulakan hari anda di pusat kota Venice, 5 minit berjalan kaki dari St. Marks Square. Hotel yang cantik ini dengan bangganya menyediakan perkhidmatan yang mesra dan profesional. Kedudukannya di tengah-tengah bermakna anda hanya dalam berjarak yang dekat dari semua tarikan utama di Venice. Hentian VAPORETTO (bas-air) yang terdekat hanya 50 meter jauhnya. Setiap bilik tetamu di Do Pozzi adalah direka secara individu dalam gaya tradisional, Venice atau kontemporari. Anda mempunyai TV satelit dan akses Wi-Fi. Hari anda bermula dengan sarapan pagi tipikal, mewah dengan buah-buahan segar dan pastri-pastri Itali. Tanyakan di penerimaan tetamu mengenai pelancongan dan perjalanan gondola, yang boleh diaturkan untuk anda. Very happy with our staff and recommend it to others. Staff were very friendly and helpful, rooms were comfortable and air conditioning worked well in a pariticularly hot period. Location was spot on and very convenient. Will definitely stay again. myself and my finace stayed at this hotel in september to celebrate our engagement and also my birthday. the location of the hotel is perfect for exploring what has to be one of the most beautiful cities in the world. we had a relatively small double room but it was perfect for what we wanted.very clean and quiet even though it was located above a fairly busy street. the staff that we spoke to were excellent, very friendly. the breakfast was simple but perfect for what we wanted and all served in a private courtyard.beautiful way to start the day and perfect to sit with a glass of wine before going out again at nighttime. overall a fantastic little hotel.would reccomend to anyone and can't wait to visit again. Room was small,bathroom small, toilet seat was broken and they wouldn't fix it. Worst thing about room 51 was that the bed was short ie with my head against the head-board my feet hung off the end of the bed. Good things - good breakfast, and good location to everything in Venice, but pricey for a budget hotel. at first we were concerned that the hotel might be difficult to find but as my wife and i got off the water bus and started walking towards the hotel, we were happy to find hotel signs along the way that led us directly to do pozzi hotel. 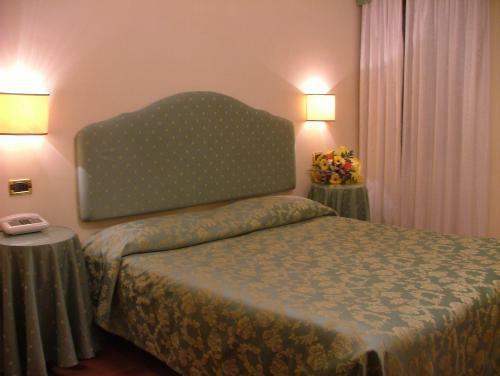 the hotel's location is excellent as it is within short walking distance to the san marco square, which allowed us to enjoy the evening live music at the square as late as we wanted. 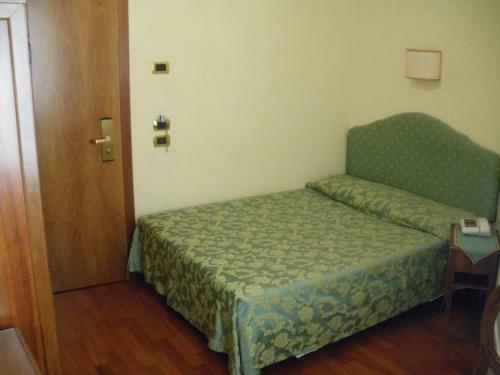 as for the room, it was reasonably spaceous and the amenities were fine. we particularly enjoyed the hotel breakfast. the room rates are high though, for a 3 star hotel. I stayed for three nights. Only a few minutes walk from St. Marx Square. In addition to good location and comfortable rooms, breakfast was really good. It was a buffet style with ham, salami, cheese, tomatoes and several kinds of breads. מיקום טוב. החדרים לזוג קטנים ולא נוחים. האמבטיה צפופה וכמעט שלא ניתן להתקלח. ארוחת הבוקר צנועה ביותר. חדר האוכל לא מסוגל לשרת יותר מ15 איש. Маленький уютный отель в центре города. Очень уютный. Персонал всегда готов помочь. Хорошо подходит для просмотра достопримечательностей. От вокзала идти около 30 минут (если знать куда :) С удовольствием вернусь в этот отель. Чистые номера, уборка раз в день, минибар, спутниковое ТВ (но только с итальянскими каналами). Рядом много ресторанчиков.